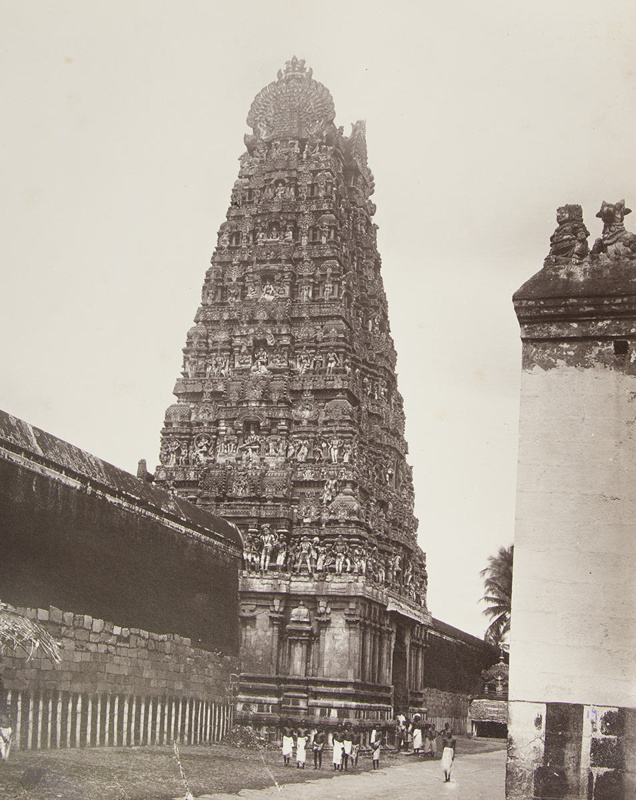 About this objectView of a large gopuram that is part of a temple complex in Thanjavur, India. The gopuram is carved with figures of deities and capped by fan-shaped elaborate sculptures surrounding the kalasam. The location may be the Brihadisvara Temple. People stand in front of a large perimeter wall.